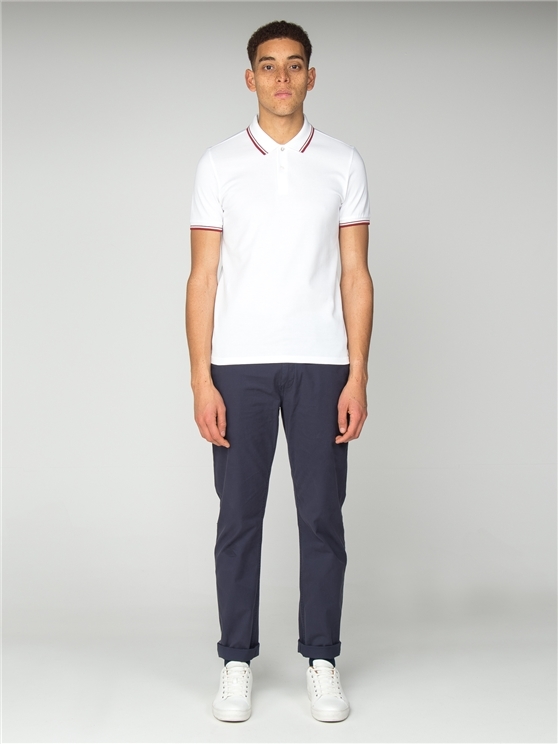 The classic slim fit pique polo; an original from Ben Sherman. 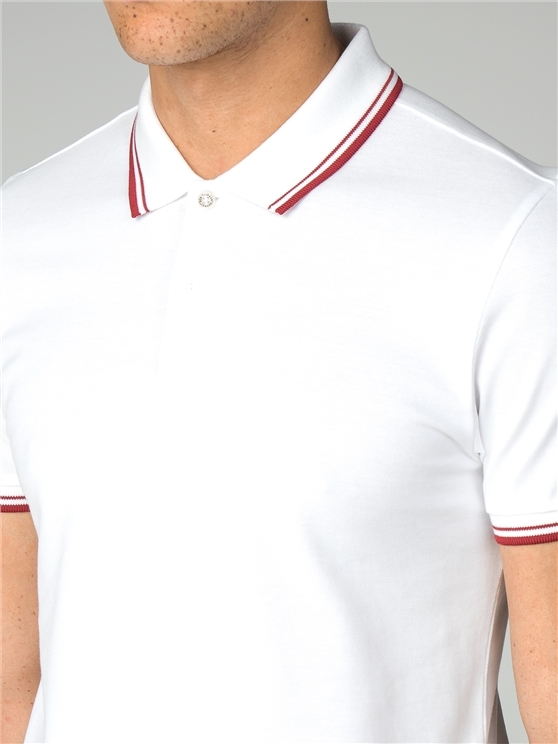 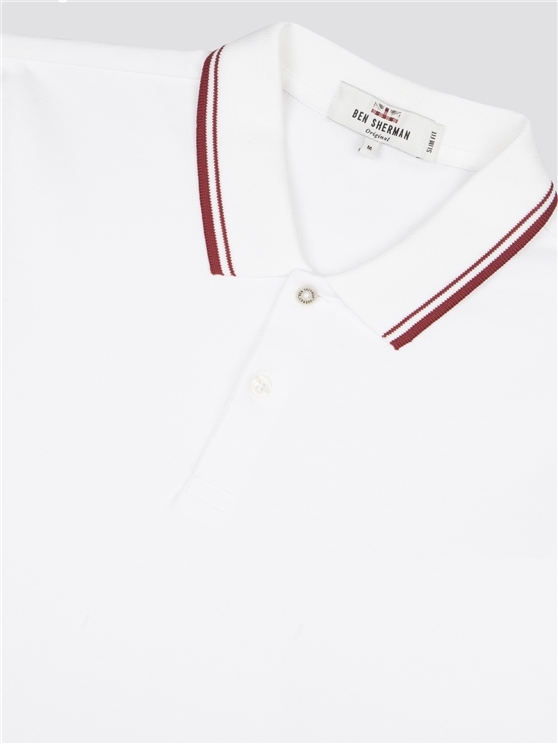 This men's white polo shirt features a striped collar and cuffs, with a three button placket and the iconic Ben Sherman branding. 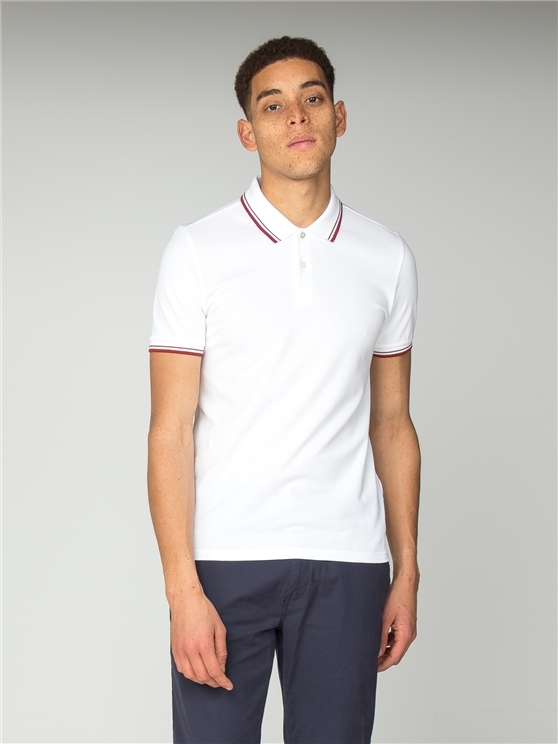 This men's slim fit polo top combines traditional mod style with a casual comfort shirt. 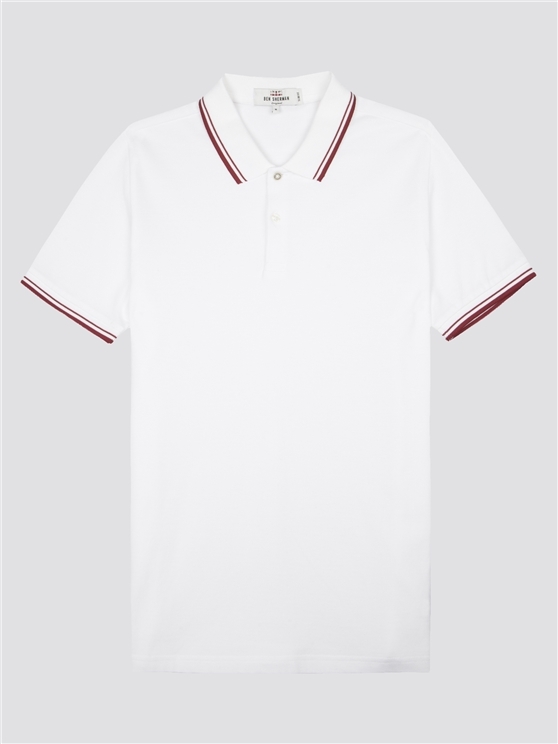 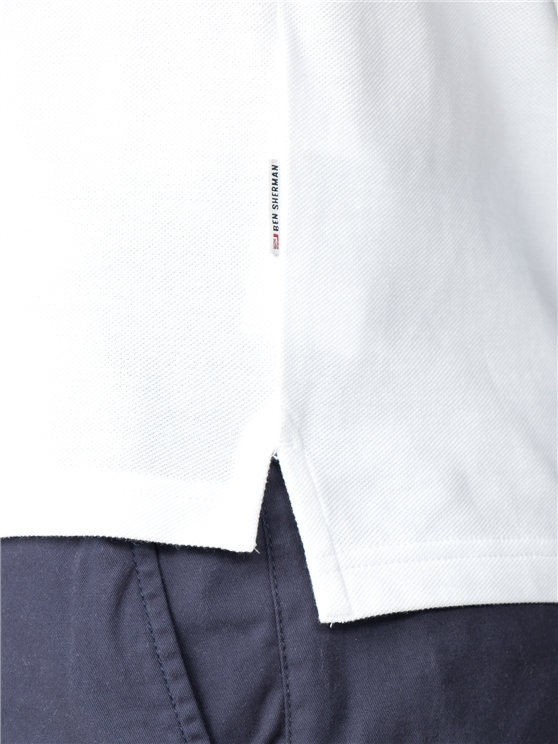 Wear the icon - the original Ben Sherman men's polo.